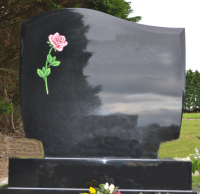 The Scroll memorial with handcarved Roses can be skilfully crafted to a size and finish as requested. The memorial can be mounted on one or two bases. Please contact us for further information. The 'Top 93' memorial can be skilfully crafted to a size and finish requested. Please contact us for further information. The rose was etched and painted to this memorial. The 'Top 9' can be skilfully crafted to a size and finish as requested. The memorial can be mounted on one or two bases as shown. Please contact us for further information. 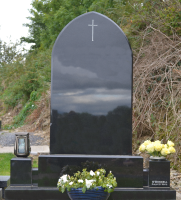 The Gothic Memorial can be skilfully crafted to a size and finish as requested. The Gothic stone can be finished with or without roping. Please contact us for further information. 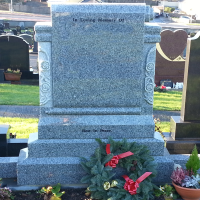 © 2019 Eddie O' Donnell Headstones and Monumental Works. All Rights Reserved.